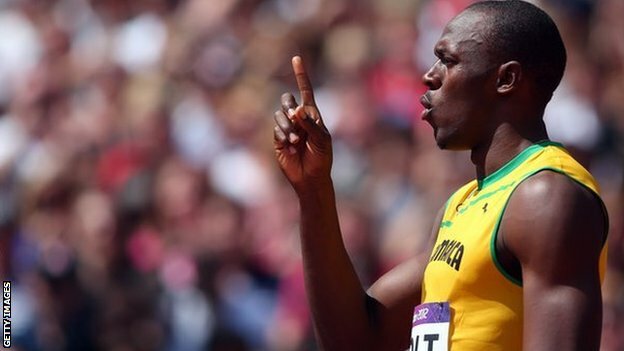 Usain Bolt is the worlds fastest man, but questions range as into what his competition has in store. Sunday, August 5; Bolt will compete in the 100m race along side Jamaican teammate Yohan Blake and Asafa Powell. Blake, has a 100m time of 9.86. 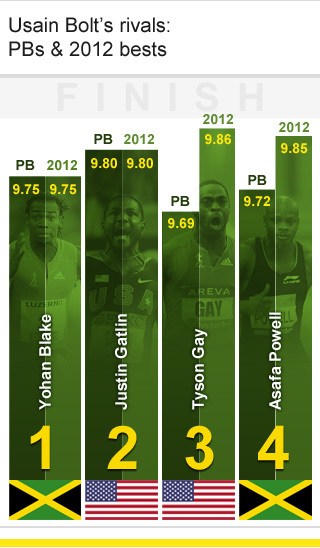 Bolt, who has a need to runa 9.40 is the fasted man in the world at age 25. 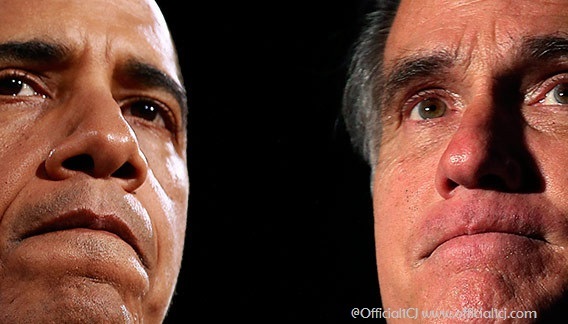 Tyson Gay & Justin Gatlin will represent #TeamUSA! !